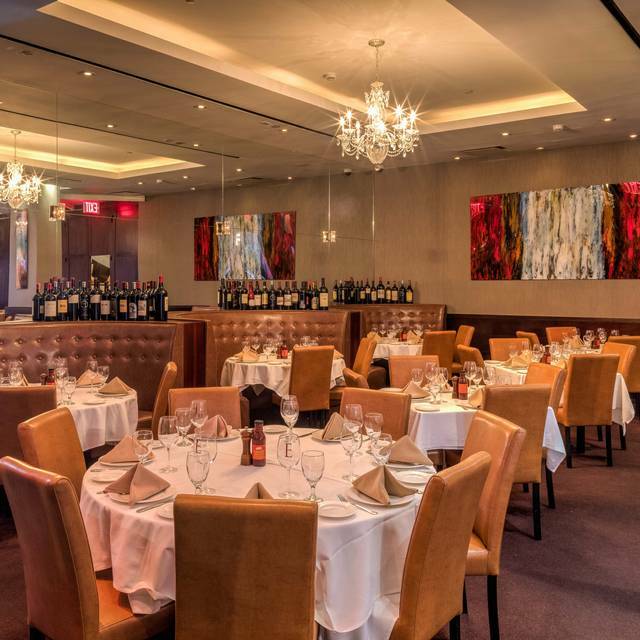 You must make reservations at least 5 minutes in advance of the time at Empire Steakhouse - 237 West 54 Street off of Broadway. Strawberries, Cherries and Summer Wine Special! BELLE GLOS, PINOT NOIR. Value of $145 for $95. 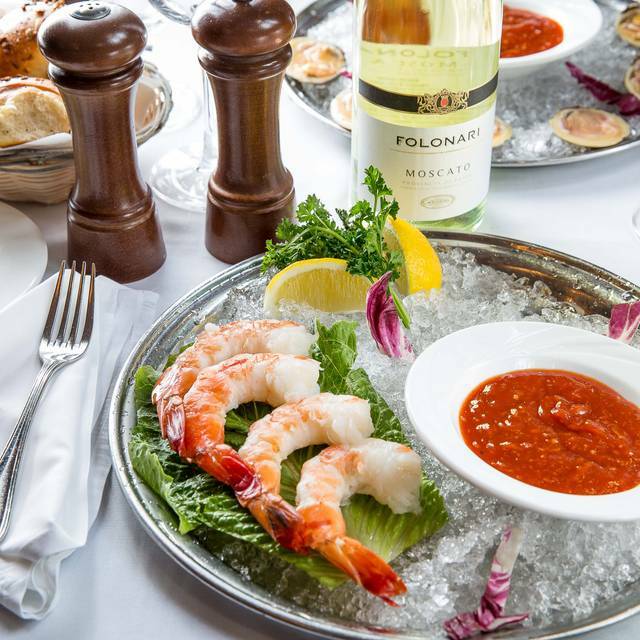 Enjoy Summer Special Manager’s Selection of Wine your next visit with us! World Cup Happy Hour! Come watch the World Cup with us and get Happy Hour priced drinks! Join us for Happy Hour Daily from 4PM-7PM for discounted drinks and $1.50 Oysters! 8oz American Wagyu Burger with fries available at the bar daily for $13.95! 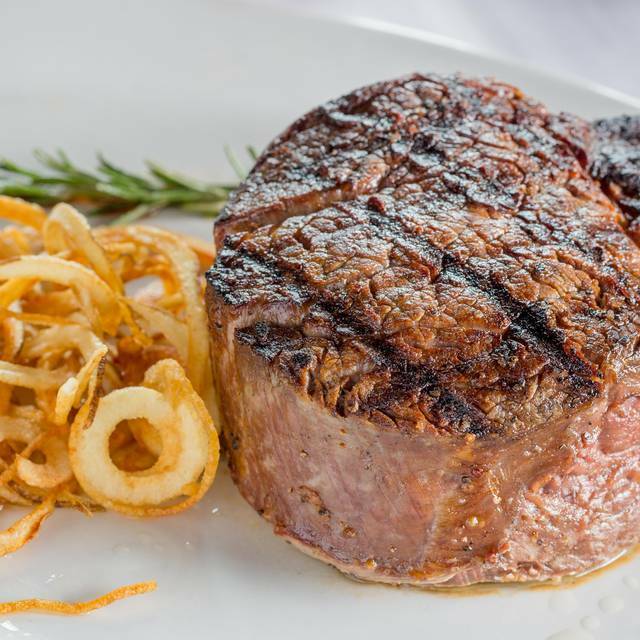 Empire Steak House, conveniently located at 237 west 54 street near Broadway, showcases modern décor in a classy, but trendy atmosphere. 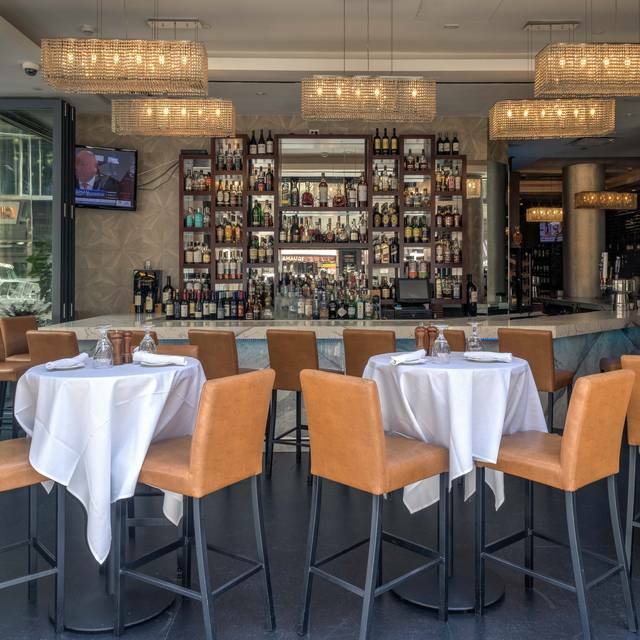 The all-white marble bar and sprawling dining room provide an additional air of sophistication. 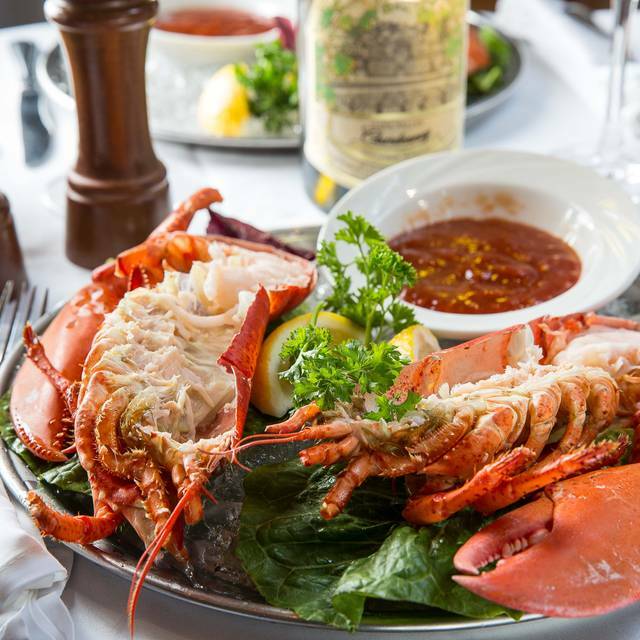 While Empire's steaks are acclaimed for its famous dry-aged porterhouse for two, the rest of the vast menu is equally stellar, featuring a wide range of fresh seafood such as 4-to 5-lb lobsters, Chilean Sea Bass, Salmon, Yellow Fin Tuna, towering seafood platters, and much more. The eatery offers a highly selective wine list and features many of California's most sought after vintages. 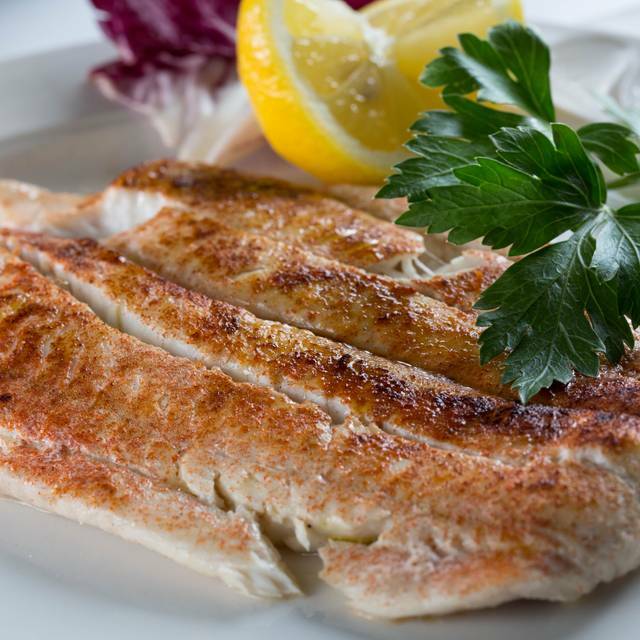 The Zagat rated restaurant is owned and operated by the Sinanaj family. 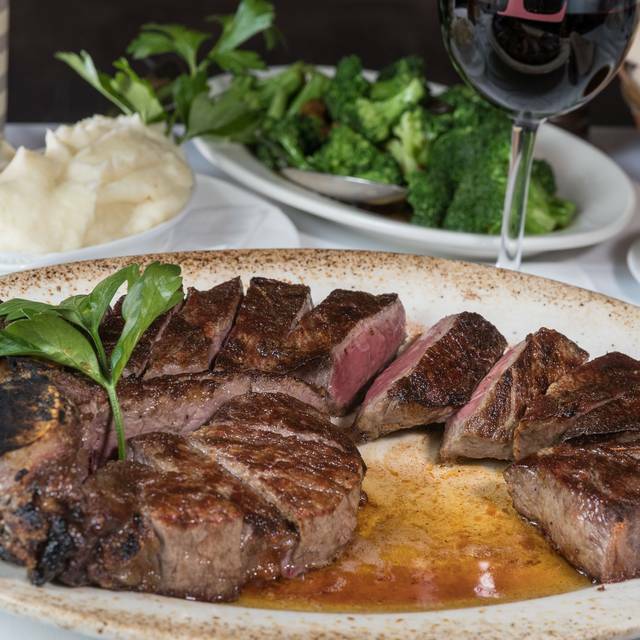 The Sinanaj’s success dates back to their first restaurant opening of Empire Steak House in 2010. 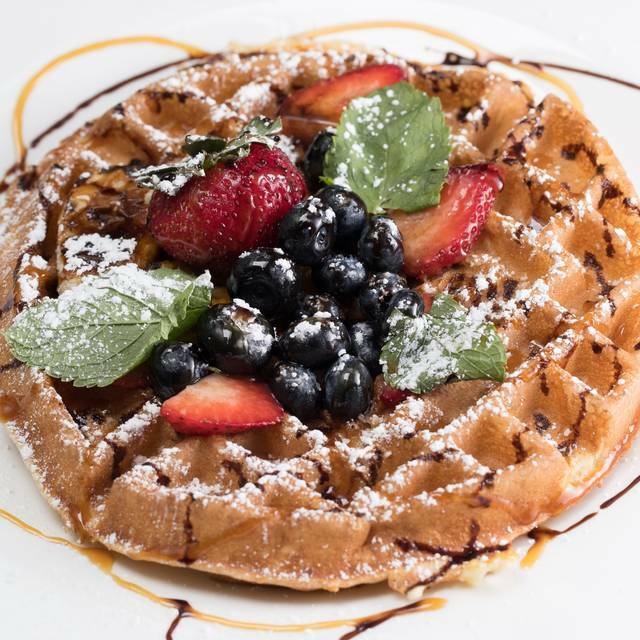 The space is 4,500 square feet and can accommodate 230 guests for breakfast, lunch, and dinner, private rooms available! On vacation with our adult children. All six of us loved our lunch. We all had the Salmon with Broccoli. The salmon was cooked perfectly. Our waiter was friendly and attentive. I brought my friends from Dallas,Texas who always thought that their State had the best and greatest steaks and steakhouses. After our dine,they changed their mind like I knew they would. This is why I took them here than to Peter Lugers. Love this place. It’s attached to the Hilton Garden Inn (which I also highly recommend). The porterhouse steak for 3 was a dream. Great wine selection. Had a wonderful breakfast there too. Service was very nice and the waiters were super sweet and funny. Can’t wait to return!! Thank you Empire! It was a wonderful experience! We were in NYC for my wife's birthday and I made a reservation based on reviews and proximity to where we were staying. In the reservation I noted it was my wife's birthday and inquired if they could place a candle in whatever dessert she ordered. When we arrived the hostess wished my wife happy birthday, which told me they do a great job in paying attention to detail. The food was exceptional and the portions were generous, I "only" gave the food four stars because I felt I had to nitpick something in the review and I've had a better version of the appetizer I ordered, although not by much! The service was accommodating, prompt, and knowledgeable. Although I asked for a candle to be placed in my dessert, the entire waitstaff came out to sing happy birthday and they brought out a whole dessert platter, which was complimentary. The atmosphere and ambiance of the restaurant worked for our tastes, as it was tasteful and refined without any risky design frills. The value I believe was terrific, as the prices were fair for a Manhattan steak house yet while the quality, portion size, and service were above average. Honestly I was uncertain about what to expect in deciding to dine at Empire opposed to one of the more well-known steak houses, but in the end I'm glad I did and will be recommending it and hopefully sooner than later! Again, thank you Empire! FABULoUS steak experience. A favorite and must go back! Restaurant was chosen for proximity to theater for matinee performance. Lovely dining room , fantastic service and delicious food. Already recommended to friends seeing same show in a few weeks. It was a great discovery. Everything was great!!! Service was the best I’ve experienced in upscale dining!!!! Go if you want a good, relatively expensive steak. Otherwise, it’s a pretty expensive place without too much to distinguish it from other steakhouses in NYC. I ordered salmon which came just fine. 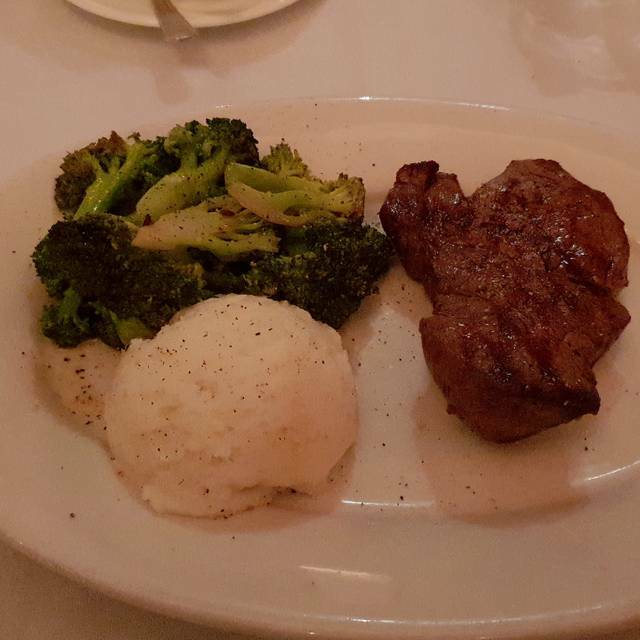 My friend had filet mignon and was pleased. We did a pre- Broadway fixed price dinner. The menu was varied, offering many choices. I had the Pasta e fagioli, my friends had salad to start. I chose filet mignon, my friends chose rack of lamb and salmon, all served with a side of broccoli and mashed potatoes. We had carrot cake and tiramisu. Everyone was very pleased with their choices. Service was attentive and helpful. Atmosphere great. This is on our go to list for the next time we come to see a play. Amazing value! We all cannot wait to come back! Serve us some of the food. The waiters were all standing Ina row but not one looked over in our direction. We managed to get the food on our plates with some difficulty. Unfortunately, the waiter was pleasant but poorly trained. The waiter was not responsive, slow, and not attentive. We asked to have our leftovers placed in a bag ( lobster and broccoli), they put some chocolate covered strawberries in our bag instead. They overcharged me for another tables drinks and didn’t want to refund $ , waited said just take it out of his tip. Great ambiance along wall of high top 2-seater tables, fabulous food and great, friendly service. Went here for a birthday party and regretted the decision. First of all there are a lot of better steakhouses throughout the city to spend your money on. This experience seemed like we were dining at a busy diner. Did not enjoy the service at all. The waiters all seemed to be in a rush, running around the tables, bumping into the chairs, and did not seem to be up to par to a dining experience at a steakhouse. Food just seemed to be thrown at you as it came out and too much yelling among the waiters for it to be considered a restaurant with good ambiance. The food was mediocre, nothing to rave about and make me want to go back. Thanks Empire, but no thanks for next time. It was a good experience & I would definitely come back!! I’m not sure i would recommend this place. After i got to the bottom of my drink i pulled a nasty hair out of my mouth which was not mine. It looked like it was plucked directly from the persons scalp, gross. The food was good but that turned me off. Went during NYC restaurant week. Our waiter was extremely pompous. I asked if they had a wine list, he answered “we have everything, what do you want”. When I said forget it he sighed and five minutes later dropped the list on the table. The food was mediocre for a NYC steakhouse. The soup starter was lukewarm. The filet was tough and extremely dry. The desserts were okay, but pretty lackluster. Also all of the sides tasted like they were drenched in butter. There are better options with better prices. I know restaurant week might impact quality, but this was pretty pathetic. The food and service was excellent. My boyfriend and I enjoyed our dinner at Empire and would definitely go back! I came for NY Restaurant week. Service was great and the tiramisu was delicious. Went for restaurant week dinner and they did not skimp on the portion sizes! We were all very, very full by the end of the meal. Started off with a good bread basket. Canadian bacon, eggplant parmigiana, fried calamari, and fresh oysters were all delicious. Filet mignon and ribeye both excellent, with broccoli and creamy mashed potatoes that were just right. Dessert, tiramisu and cheesecake, was also of generous size. Loved the fresh whipped cream. Coffee and tea included in the price! Service was also great! Our server listened to us and made recommendations for the steak and a wine to pair that were spot on. He also gave my friend a bowl of fresh fruit when they didn't have strawberries on the cheesecake like she asked. We also weren't rushed at all - sat there for nearly 3 hours! Customer experience was awesome and the food was great! Very good meal. Went for restaurant week and the meal was very filling, delicious and a great deal. Great service from start to finish, Sirloin Steak was delicious! half shell. They were very fresh. The Boneless Rib Eye was cooked to perfection. The steak was so tasty. The NY Cheesecake was a little dry. both Chocolate Mousse Cake and Tiramisu were very good. It’s restaurant week in NYC, so me and wife were going about our to day to try out this new steakhouse ! First thing that bothered me was they didn’t allow me to wear my hat. Now I’m spending hundreds of dollars, at least let me wear the hat. However, so we ordered filet migon steak and chicken Parmesan, and it was absolutely terrible. It’s was very burnt on the outside and pink on the inside. Worth it to eat for a discounted price for restaurant week but not worth it at all to pay regular price on any regular day. Overall it was a great experience! However I was a bit annoyed with the service. My husband and I bought the bottle of wine that accompained restaurant week. During service the bus boy knocked over the bottle of wine spilling about a glass and a half of wine. The bus boy told the waiter that we should be given a new bottle and the waiter said no. I understand that it is restaurant week and we are paying less for our meals but I paid for that wine and it was spilled on the table with no apologies or anything. Checked out the place during restaurant week. The price and portion was outstanding; steaks were of good quality too. There could be some improvements on the desserts but overall, I enjoyed the meal. The servers were all very nice and warm too. We were late for our RSVP , Empire was great at accomodating us. Food was fantastic and the sever were so attentive. They even sang Happy Birthday to my husband! It was a wonderful experience and we look forward to visiting again! good food and attentive service. expensive but worth it. My steak was over cooked. Manager was eager to make it up and offered many options. Unfortunately we had a show to catch. I would definitely go back. The service was excellent and the food as well. Food and service was great but they rushed us through our meal and I hate that. I wasn’t even finished with my appetizer and main course was out. I can’t enjoy my meal if I’m rushed. Great experience! The food and service was amazing! Food and service was excellent. Would definitely recommend. at first, my companion and i felt a little rushed, but just briefly. it wasn't at all crowded, so we couldn't understand why we had to ask for a few things more than once. the except for the mashed potatoes, which were bland and uninspired, the food was very good and came as ordered. other than forgetting those 'few things' and giving us the wrong check, service was very good. the value of the meal was very good. i would, absolutely, recommend it for their lunch specials and retaurant week.